Mark welcomes author Betsey Lewis to the show. 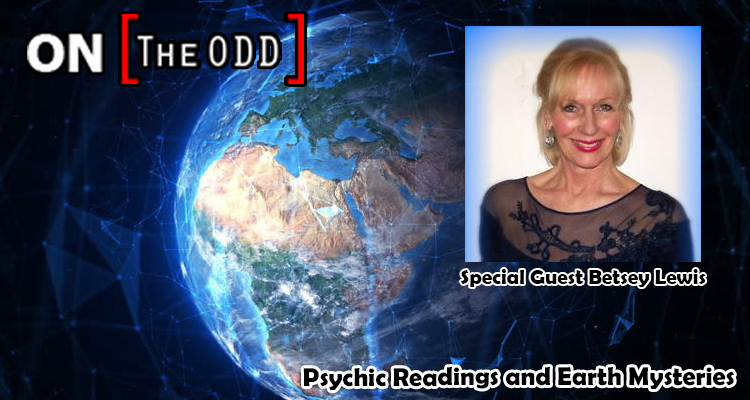 Author and Earth mysteries investigator Betsey Lewis is a gifted international psychic, considered one of the best in her field. Her first paranormal event took place with her parents at the age of eight-months-old, and at age three, she began communicating with her spirit guides. At age seven, she began receiving frightening dreams and premonitions of disastrous Earth changes now taking place worldwide. For the past forty years Betsey has investigated aliens, UFOs sightings, ancient archaeological sites, conducted field investigations into the bizarre cattle mutilations throughout the Northwest, and other paranormal mysteries. She worked closely with renowned cattle mutilation investigator Tom Adams during the 1970s to uncover the cattle mutilation mystery and she studied under two indigenous spiritual leaders during the 1990s. She was inspired to write by her step-uncle William Peter Blatty, author of the New York best-selling novel, The Exorcist.